From my previous two posts on Leaky Gut (The Basics and The 9 Causes), you should have a good idea about how and why intestinal permeability might be impacting your overall health. Whether you are currently healing from leaky gut or looking to avoid it and the diseases associated with it, the following tips on prevention will be valuable for you. Learn strategies to deal with stress and take steps to minimize sources of it. Most of us have had at least one experience where we can directly draw a cause and effect between digestive issues and stress in our lives. Your digestive tract and nervous system are intimately related. Minimizing stress will help the lining of your digestive tract stay healthy and leak free. Remove sources of stress when you can but also take steps to help your body process it. It is good to have multiple stress-release activities on board. Regular exercise is great but I rarely find this to be enough for most of my patients. I am a big fan of therapeutic journaling and EFT Tapping to help the body release stress. Reframing is essential to having less to journal about, tap about, and exercise off! By practicing breathing into your belly and making your out-breath longer than you in-breath (for example: breathe in for a count of 4, pause, and breathe out for a count of 6) will help shift you from a sympathetic (fight, fright, flight) state to a parasympathetic (reset, digest, repair) state. Chew well, eat in a calm environment, and use apple cider vinegar before meals. You can read more details about these from a previous blog post here. Good food “hygiene” habits help ensure that the body is in a state where it is prepped to digest optimally. Your food will be broken down better and less irritating to you gut. You’ll absorb more nutrients. You will even have better levels of stomach acid which can help decrease the likelihood of infection from some of the microbes associated with Leaky Gut. Colorings, additives, and sugar are all inflammatory and irritating to the gut. Most boxed and canned foods are processed. There are minimally processed convenience foods out there (and yes, I do have some of these in my kitchen), but in general, it is best to stick to the unprocessed items you find on the periphery of the grocery store. 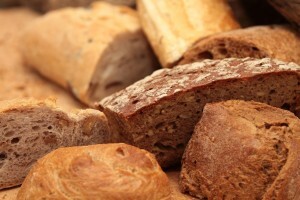 One of the many mechanisms through which gluten can cause issues in your body is through triggering the enzyme zonulin. Zonulin causes your gut to become leaky. I do NOT recommend simply swapping out bread, pastas, and other products made of wheat for gluten-free equivalents. These are usually not nutritious. Instead choose whole grains like rice, quinoa, and oats. If you have found you don’t have an issue with gluten, I recommend choosing sourdough or sprouted wheat breads and minimizing other forms of gluten. Others find they need to eliminate all grains to maintain a healthy gut. An elimination diet is considered the gold standard from identifying food sensitivities. Remember, a food sensitivity doesn’t necessarily show up as digestive symptoms. Skin issues, body aches and pains, brain fog, and excessive allergy symptoms are just some examples of symptoms caused or worsened by food sensitivities. There are many versions of elimination diets out there. An autoimmune paleo diet is one of the most extensive and I do use this often with patients. If you aren’t ready to go that all in, you might try this one. I blogged about this here years ago. The information is still relevant and can help you find alternatives to NSAIDs whether you are looking for pain relief or blood thinning and heart health. Include many sources of zinc and other minerals in your diet. Minerals, especially zinc, help the gut lining stay nice and tight. Oysters are a powerhouse of zinc! A 100g serving has over 70g of zinc! Lamb has the next highest zinc content at about 12.8mg of zinc per 100g serving. If you are a fan of oysters, try to have them 1-2 times per month. They are good sources of many other hard to find nutrients. Maximize your body’s absorption of zinc and other minerals by soaking and sprouting seeds and grains. When grains, seeds, and nuts are not properly prepared, they interfere with mineral absorption. White flours and sugars are not only depleted of minerals (and vitamins!) but they require your body to use up mineral stores for processing. It is best to avoid these in order to maintain good mineral levels in your body. And an all-around great food to add is bone broth. You can either make your own (I think Chris Kresser does an excellent job of explaining how), or get some from Kettle & Fire. The tips above on minimizing stress and having good eating habits (food hygiene) are important for supporting good gut bacteria. You will also want to be sure to have a diet rich in fiber, especially prebiotics, that will feed the good bacteria in your gut. Resistant starch and inulin are two types of prebiotics. Foods that have these include: potatoes that have been cooked and then chilled (increases resistant starch), dandelion greens, onions, garlic, and chicory. Probiotics, in the form of fermented foods or a probiotic supplement are also helpful. 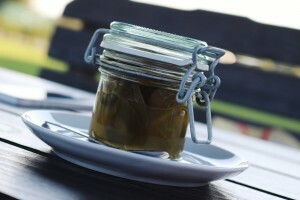 Fermented foods include sauerkraut, miso, pickles, kombucha, and kimchi. Make sure these are truly fermented and not a “quick pickle.” The latter does not contain any probiotic qualities because it is made with vinegar and sugar and does not undergo fermentation. Not all probiotic products are created equal. I like the HMF and Klaire Lab brands. Drink water while you workout and don’t over-train. Both lack of water and excessive training are associated with leaky gut. Probably because it creates stress on your body! This looks like a long list, I bet! Take things one change at a time. Also, know that all of these changes will actually benefit your body in a multitude of ways, not just protecting your gut. For instance, more water will help your skin glow, avoiding gluten may help you think more clearly and joint aches clear up, and increasing minerals can improve hair and nail quality. 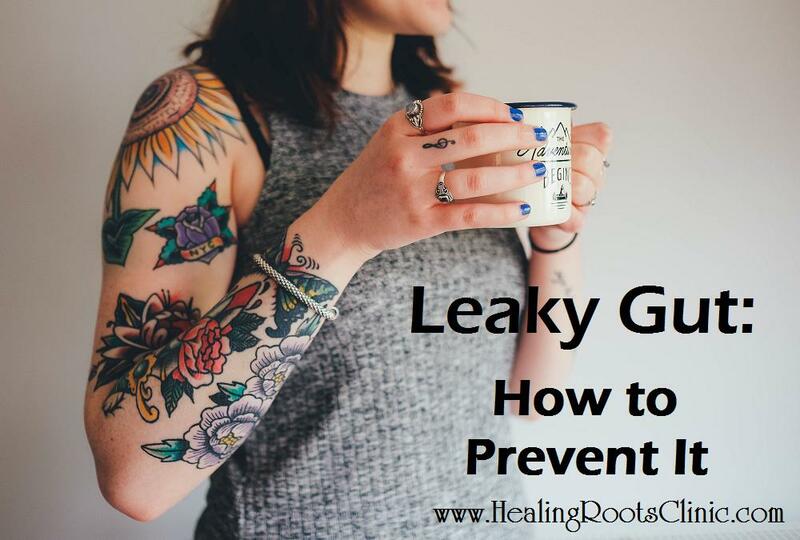 Find out how to fix leaky gut in the last post in this series. This entry was posted in Autoimmune, Detox, immune, Infection, Leaky Gut, Natural Medicine and tagged natural medicine denver colorado, naturopath doctor denver colorado, Prevent Leaky Gut Denver Colorado. Bookmark the permalink.